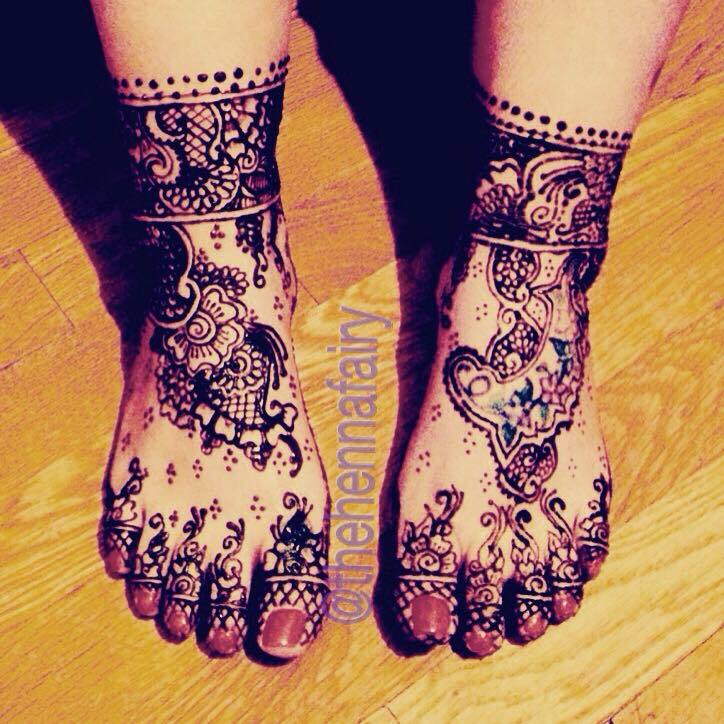 Henna is a great way to relax, rejuvenate and beautify for your wedding day. For more information please call/text 505-603-1034. We are based out of New Mexico and are available for bookings nationally. 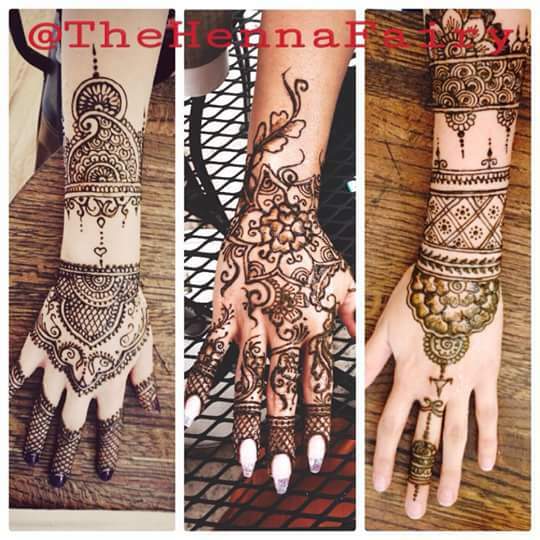 Our professionalism and our Henna fine art has been featured nationally in Bridal and fashion magazines as a leader in the industry. This safe, healthy and beautiful method of body adornment has been adopted by cultures far and wide for thousands of years. Henna temporary Body Art shared between Brides and Grooms, Wedding Parties and Guests is a and safe to have everyone interact and share this special time together. 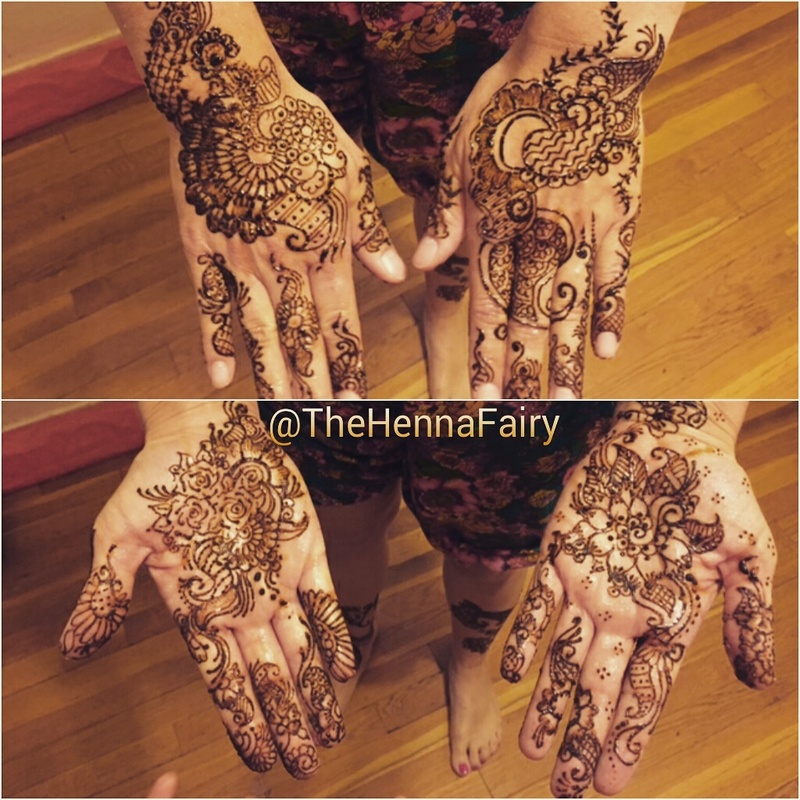 We use organic/natural grown 100% pure henna. The crushed leaves are turned into a paste using organic lemon and sugar and then filled into hand rolled applicator cones. Everything is made in house and fresh. 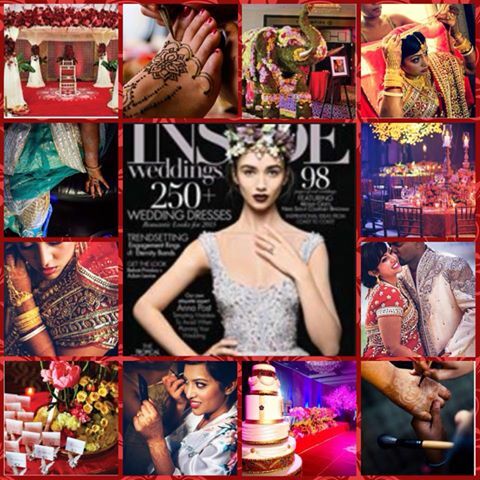 We are also proud to announce that our work was Featured in the 2014 December issue of Inside Wedding NYC. 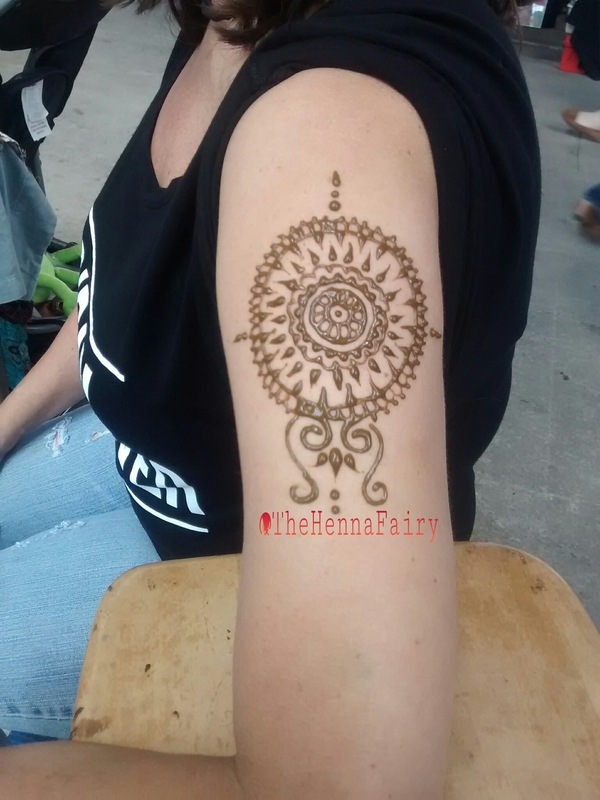 Bridal Henna:During the few days before the event stress levels and nerves skyrocket making us making us tired mentally, physically and emotionally and easily susceptible to illness. Bridal henna applications are a traditional spa treatment to promote body and mind relaxation, beautification and protection. The henna plant is known as muscle relaxant, aphrodisiac, blood purifier. It strong antimicrobial to protect against the flu and other illnesses. Beautiful henna patterns, filled with symbolism and traditional patterns are drawn over the limbs. Brides and Grooms both enjoy this treatment and can be customized to match, adding auspiciousness to your occasion. Bridal Parties: Many lasting memories are created during pre wedding celebrations and adding henna encourages creativity and interaction. Whether you choose to incorporate a professional henna artist or henna bridal party kits you can be sure that your guests will enjoy themselves and take a token of your wedding with them for weeks ahead. Henna celebration kits cones: Presenting premade henna and mineral pastes in henna cones for your guests to embellish themselves and each other is always a sure way to have everyone involved. This is a fun, safe and easy to use activity will leave all ages rejuvenated, laughing, talking and creating. I will be booking in #Santafe Monday and Tuesday. Please call/text 505-603-1034 for appointments. We Use 100% Pure Henna, freshly mixed using organic ingredients for full details about henna medicine and safety please check out our about henna section.